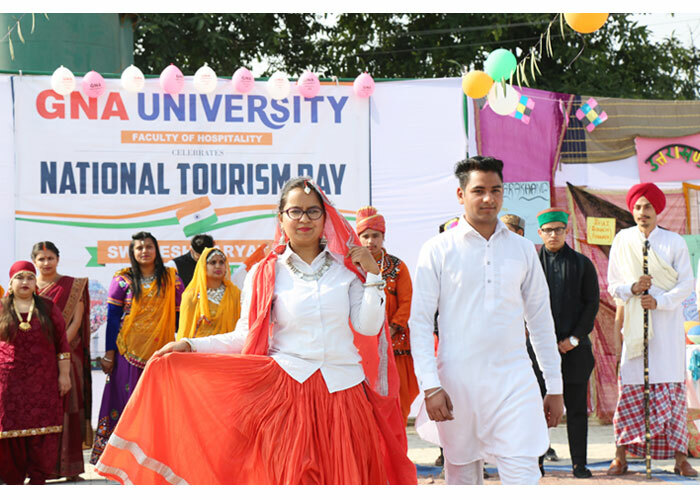 GNA University celebrated National Tourism Day entitled as "Swdesh Paryatan" under the sub theme of Cultures and Cuisines of India. The event was graced by the benign presence of worthy Pro-Chancellor S. Gurdeep Singh Sihra, and honourable Vice-Chancellor, GNA University Prof (Dr) VK. Rattan. 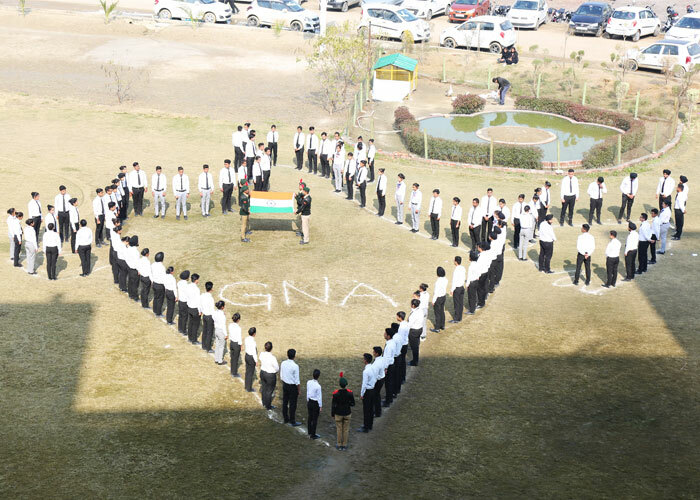 The celebration began with human chain of Indian Map, in which, more than 250 students created India's map. Mr Varinder Singh Rana, Deputy Dean-Faculty of Hospitality welcomed all the guests and mentioned, "Every year this day is celebrated to explore the domestic tourism potential of India." He also stated that India is One Nation which has countless tourism destinations. 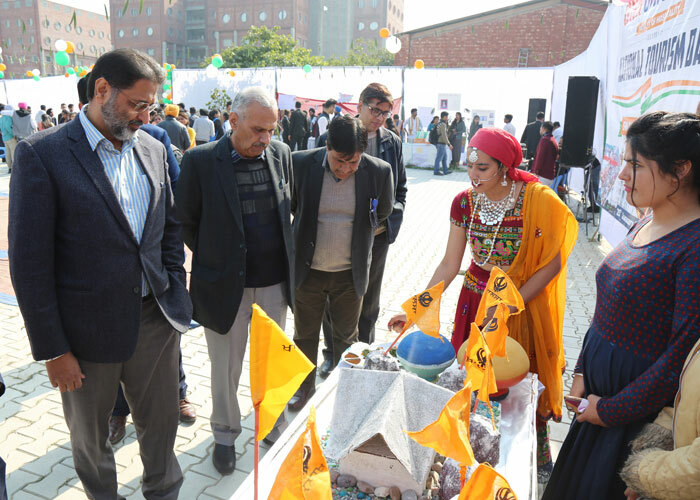 Students of Faculty of Hospitality showcased the cultures of different states of India with dances, models, costumes, charts and Information brochures. Student teams of various states performed folk dances, plays and ethnic traditional fashion show. Delectable cuisines of various states were prepared by the budding chefs and the same was enjoyed by all. Prof. V K Rattan, Vice Chancellor praised the efforts of the Faculty and the students. He encouraged the students to make tourism projects and submit it to the tourism agencies to explore virgin tourism areas of India. 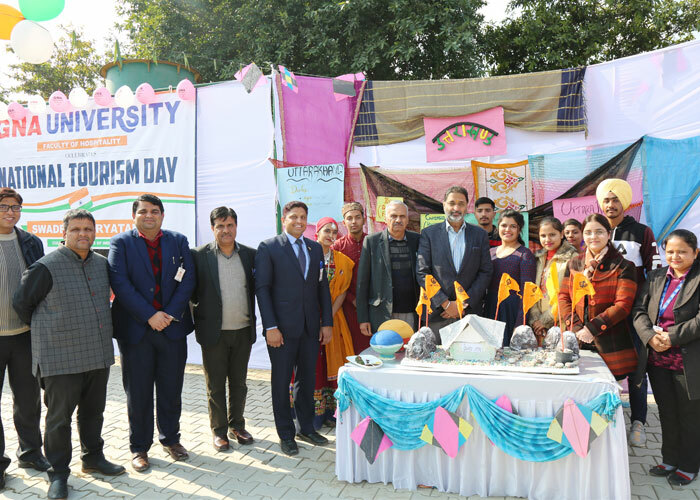 Pro-Chancellor S. Gurdeep Singh Sihra applauded the efforts of Faculty of Hospitality and mentioned, "India has great potential to attract more International tourists and tourism students have to play major role in this." The event was concluded with a ramp walk by the students on Vande Mataram in folk dresses of respective states. On this occasion, Dr Narendra Awasthi, the Registrar, faculty and staff of GNA University were also present to add grace and charm to the whole-hearted endeavours of the zealous students.